Hours after posting an online smear of [Trump appointed] UN Ambassador Nikki Haley with the article “Nikki Haley’s View of New York is Priceless. Her Curtains? $52,701,” The New York Times corrected their article to make it clear she had nothing to do with the decision to spend the $52,000 on mechanized curtains in her official New York residence. Hours of criticism had left [editors] no other choice. The original piece, headlined “Nikki Haley’s View of New York is Priceless. Her Curtains? $52,701,” criticized the expense in a blatant effort to make Haley [look bad]. Besides noting the expense — $29,900 for the curtains and $22,801 for automatic open-and-close hardware — the Times report flagged the fact that the installation came at a time when the State Department faced deep budget cuts and a hiring freeze. Only at the end did the article mention that the plans to buy the curtains were made in 2016, by the Obama State Department. All the furnishings, including the curtains, were chosen by State’s Bureau of Overseas Buildings Operations [under the Obama administration] — as is standard for US diplomatic cribs all around the world. Haley had nothing to do with any of it. All that’s still missing is an apology at least as public as the original smear. The correction noted the initial story, which used Ambassador Nikki Haley’s name in the headline and carried a photo of her, “created an unfair impression about who was responsible” for the curtains because the decision was made by the Obama administration. That crucial fact was in the initial story — yet the reporter and editors involved buried it and made it sound insignificant, as if Haley was guilty of a scandal. Why did they shape the story that way? If the Times is serious about setting the record straight, it will find the answer and publish it. My suspicion is that those involved saw the curtains as news only because the story would fit the Times’ anti-Trump agenda. The facts, headline and photo were arranged to serve that narrative. The story, then, is a classic example of what happens when a newspaper becomes a partisan tool. Prejudice is baked into nearly every decision and the entire staff is expected to follow the party line. Fixing that will take more than a single correction. A TV weatherman appeared to be caught faking his battle against gale-force winds during Hurricane Florence. You don’t expect it out of The Weather Channel, which fancies itself the no-nonsense authority on all things weather. The most incriminating part has been The Weather Channel’s reaction. Instead of classifying Seidel’s act as an unacceptable goof that was beneath station standards, it released a statement defending its intrepid reporter. 1. What is the problem with issuing a correction of a news story? 2. 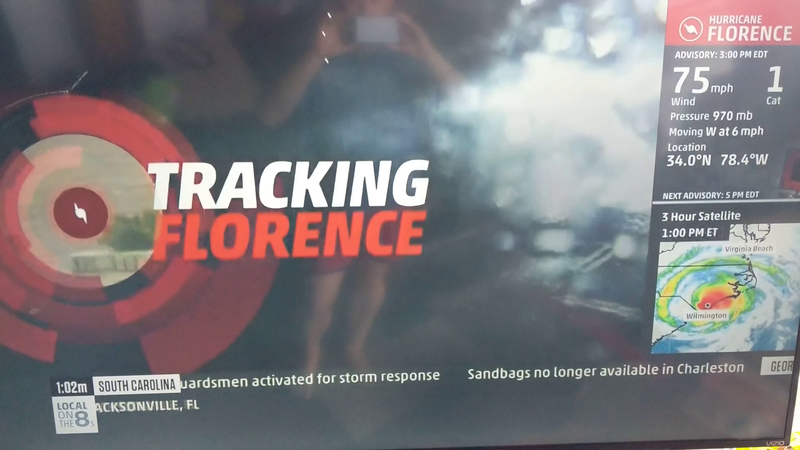 What is the problem with (especially the Weather Channel) misleading viewers on the severity of a storm?